Wherever a drink goes into a cup a lid goes on to cover it up. 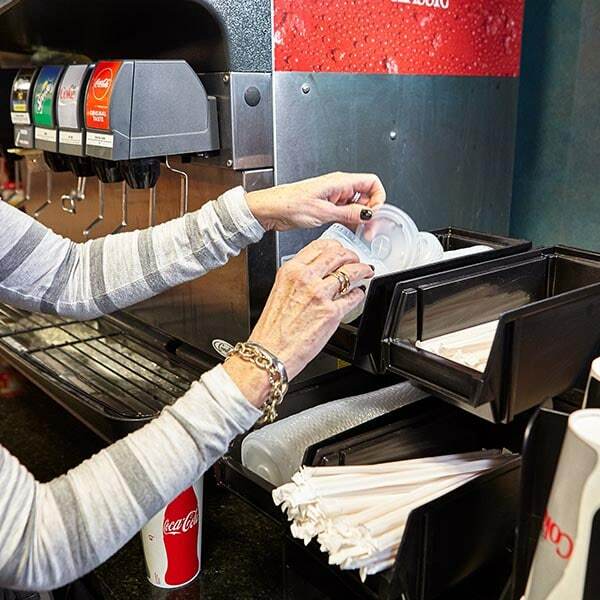 Just about everywhere we go where convenient food and drink are available, we cover our disposable cup with a lid. 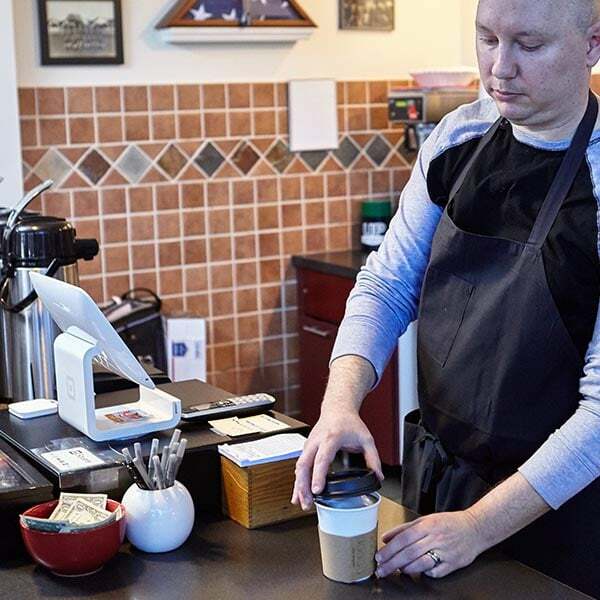 Coffee shops, convenience stores, cafeterias. Hotels, motels and fast food establishments. 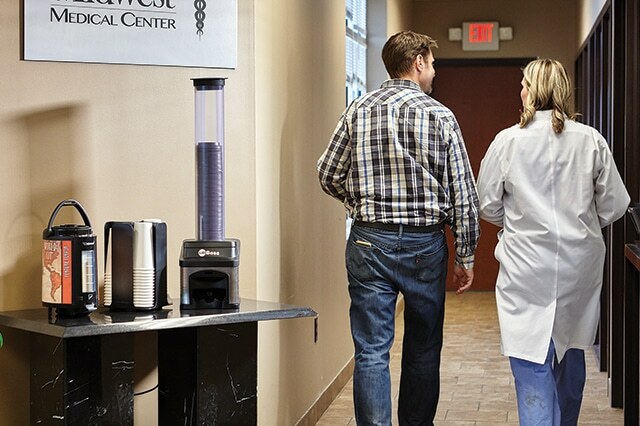 Even health care facilities. Wherever a drink goes into a cup, a lid goes on to cover it up. But have you ever stopped to think about the condition of that lid? We find them stacked and racked and we assume they are clean. Maybe not a good assumption. Somebody has to manage the stacked lids. Were their hands clean? Lids can be tricky to handle. Customers before you very likely had a hand on your lid. Were their hands clean? And kids like to play with lids. We know the likelihood of their hands being clean. 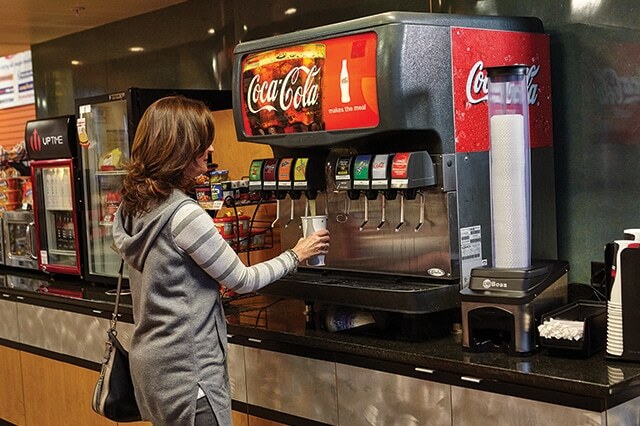 We think it’s time to re-think lid dispensing. 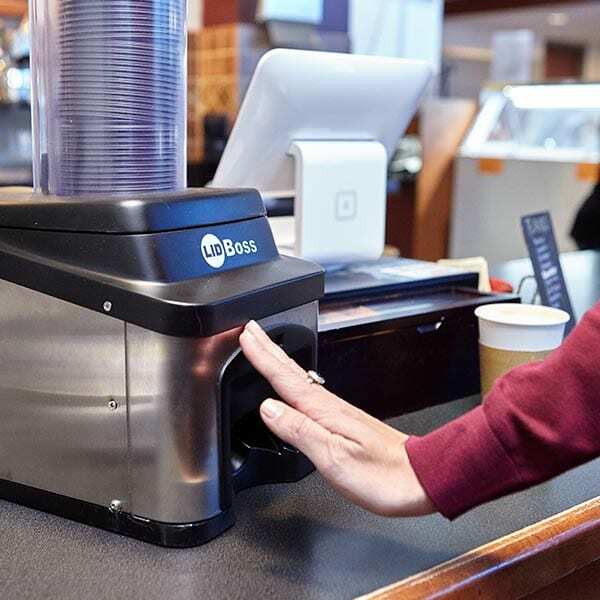 LID Boss™ dispenses lids with the wave of a hand! 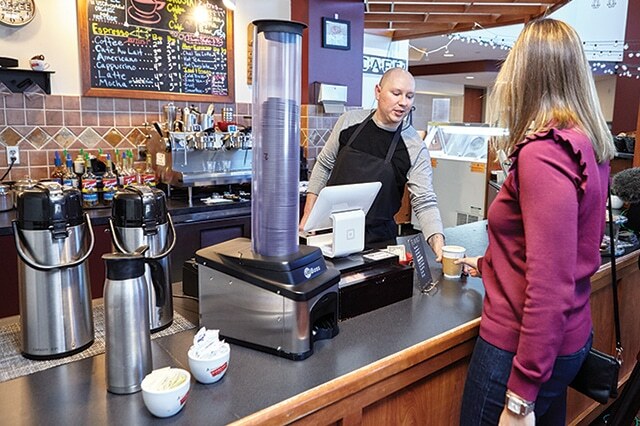 With LID Boss, lids are fully contained and untouchable, until you wave your hand. With that wave, a single clean lid is dispensed. 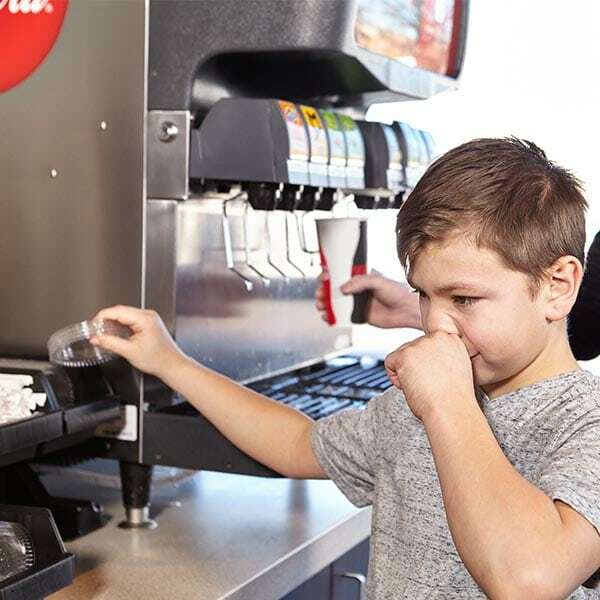 There is no chance for contamination from other customers or their kids. 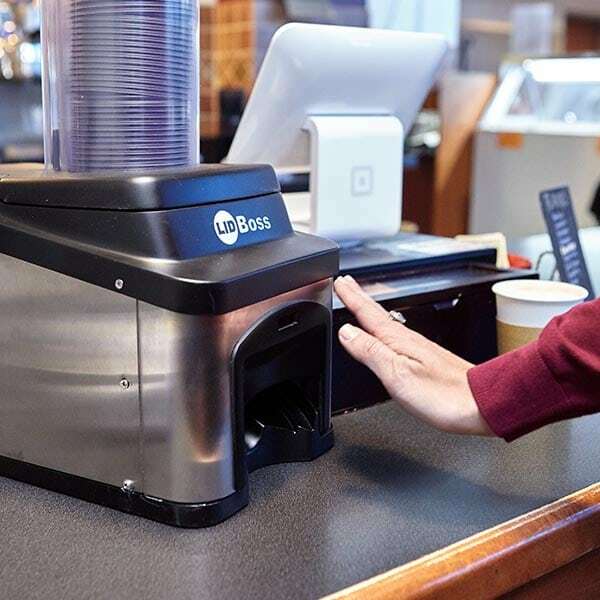 And, no need for handling by employees once the machine is filled or ongoing handling that takes valuable time but must be done to keep a facility orderly. 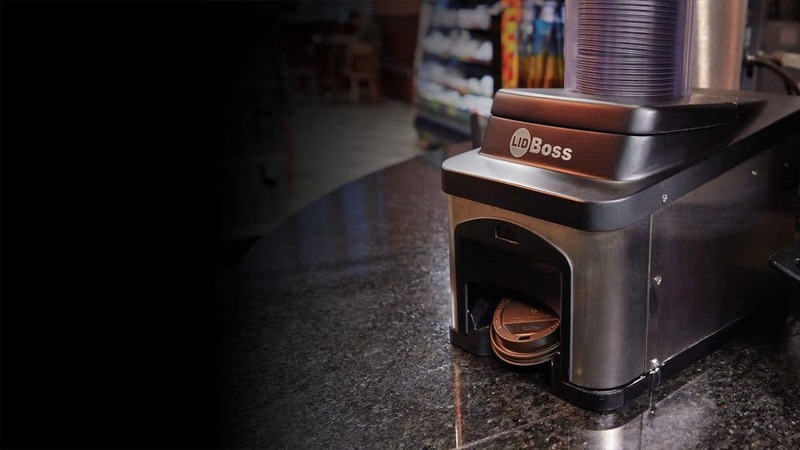 LID Boss™ is the touchless and clean lid dispensing machine. 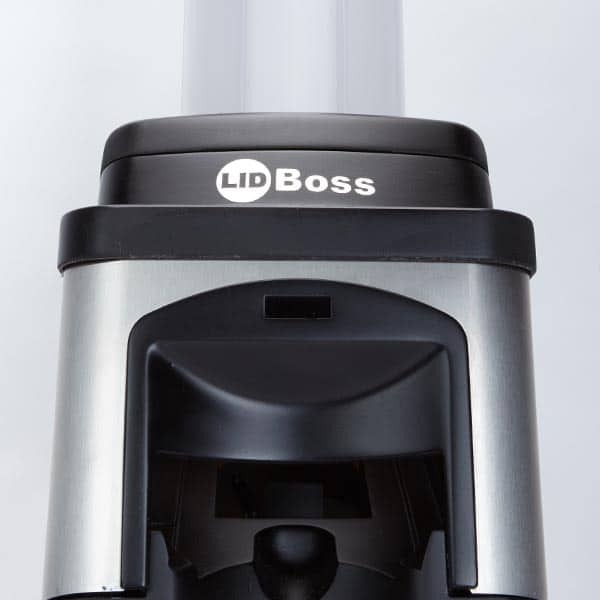 Lid Boss is a premium, highly engineered device designed to stand up to the rigors of constant daily use. 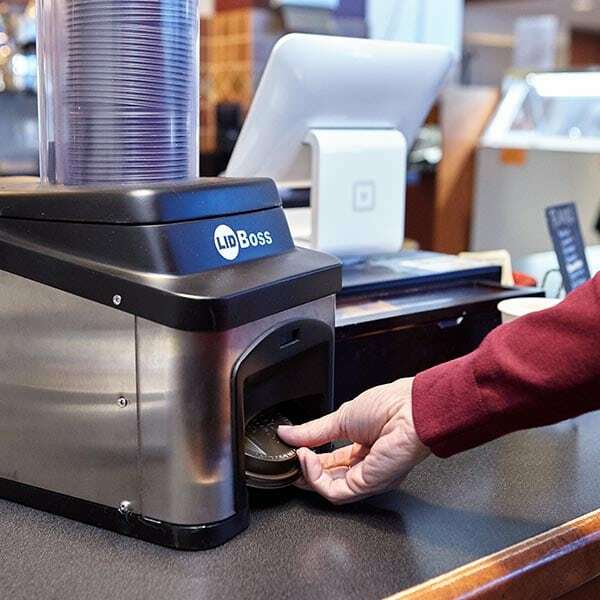 Made of 304 stainless steel, Lid Boss features a premium 12-volt ball-bearing stepper motor rated for a minimum of a 6,000 hour run time — engineered to dispense countless lids over its lifetime. 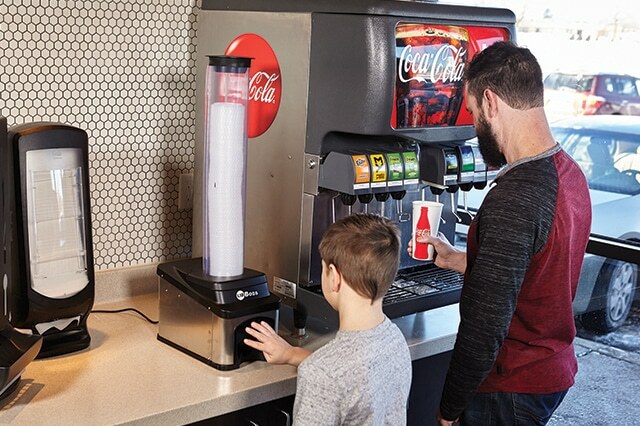 An LED light indicates the machine is dispensing and internal sensors immediately deactivate Lid Boss per chance a youngster reaches in — so it’s perfectly safe. 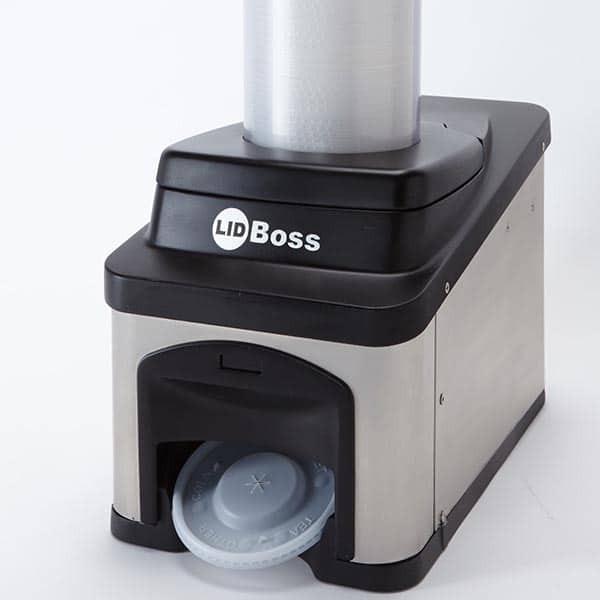 Thanks to a removable clear gravity tube and a single action push button release, Lid Boss is easy to load. Lids are loaded through the sleeve and Lid Boss can accommodate lid stacks up to 24 inches tall from all of the top lid manufacturers. 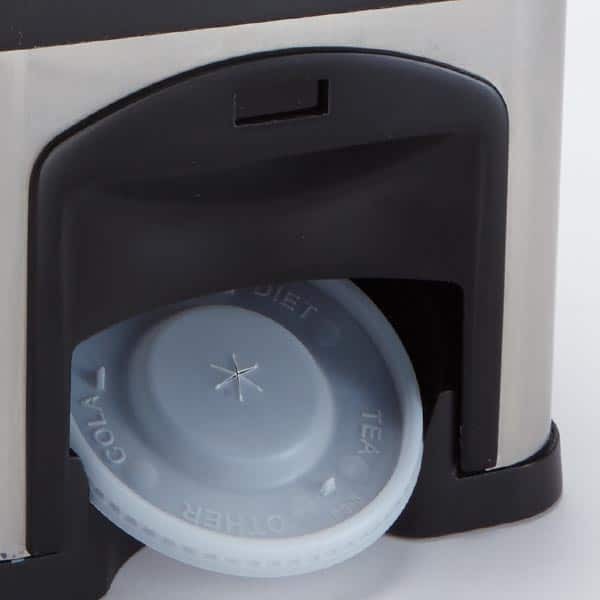 Internal grippers grip the entire lid stack, releasing only the lid to be dispensed. This allows for optimal control. The propriety and patented multi-cam design ensures consistent performance over time. All components are custom designed. There is nothing off the shelf. Lid Boss is efficiently compact, too. The footprint is less that 8 by 14 inches and it reaches 31 inches in height. It comes with no-slip feet, an interchangeable clear gravity tube for easy viewing so you know when you reload. Machine weight is just 7 pounds. To operate Lid Boss, you simply plug it into the wall and turn it on.